6th Year of Service – India’s Largest Assisted Living Facility – Nandhavanam Welcomes You! Property Tax Payments, Electricity Payments, Water / Sewerage Charges Payments, House Maintenance Issues, Servant Maid Absence, Festival Celebration Tension, Cooking Job, Washing & Vessel Cleaning Work, Health Followup & Insurance Followups, Cash Handling Issues, Procurement of Provisions and Vegetables, House Gate Keeper Job, etc. Ample Time to Read Your Books, Spend More Time With Neighbors, Spend More Time In Knowledge Hunt and Sharing, Living With Same Age Group People Who Can Understand Your Importance, No Fear of Loneliness, Watch Your Favorite Channels and Movies, Involving In Fitness and Well Being, Food and Beverages in Right Time, Spend More Time on Social Medium with Friends and Relatives, Retain Your Respect, Privacy with Dignity and Pride, Help Others and Experience the Satisfaction in Life. When the old age is nearing, one tend to lose the ability to walk, talk and hear and slowly they become like a child. Every person who lived their life honestly and straight forwardly, look for the mercy of others, to fulfill their day to day needs. During any emergency many of the elders are left alone for hours together and the chances of admitting them in hospitals are lost. This not only results in end of some ones life but also brings physical disablement to the elder and un-comfort to rest of their family members. There is no trained manpower available for elder’s care in houses. Affordability has also become the major reason for ignoring elders care. 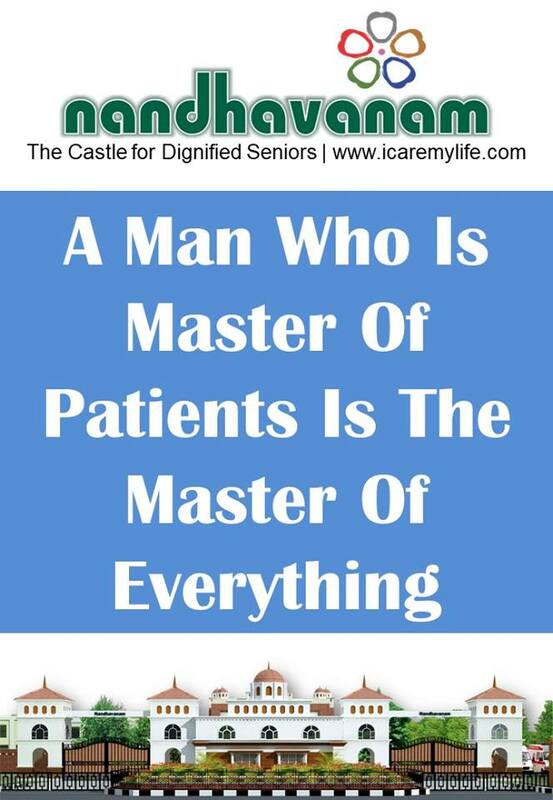 In many cases, even the elders are having sufficient amount for their care, there is no one prepared to take them care due to various reasons. In present commercial world everything has become money oriented and there is very less human services and mind is prevailing. Old age homes have become as social stigma and corporate service providers need to emerge in caring the senior population. As the future is going to be largely of seniors and old aged people, it is the need of the hour to form the Assisted Living Facility. People confuse Retirement Living and Assisted Living as same. But both are not same. Assisted Living comes beyond Retirement Living. 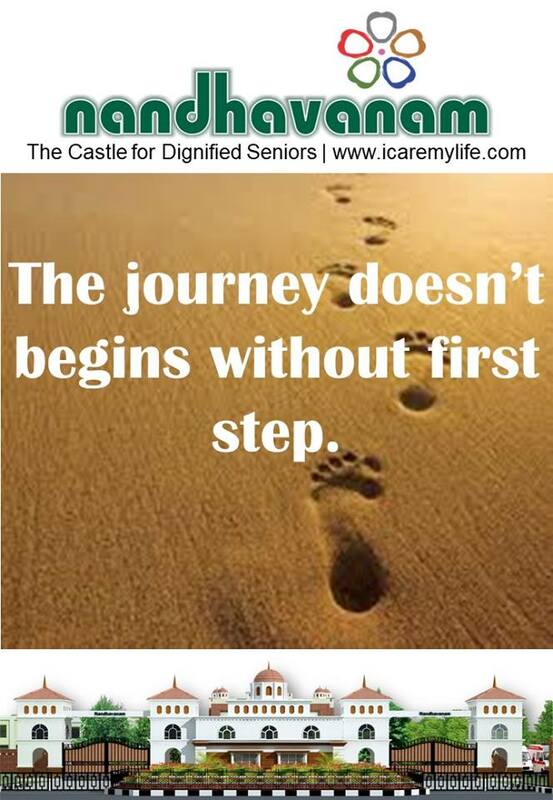 One may be happy while they are independent to take care of their day to day needs say from 60 to 70 years of age. But beyond that, when they become sick and old, they should choose an ALF necessarily. It is the need of the hour. We would like to thank the management for providing us with an alternative home away from home where we are able to lead a carefree, leisurely & peaceful life. May God shower His special blessings upon Nandhavanam. We both thank God for helping us to find NVM. We have been extremely happy in these two years, thanks to the Team NVM whose constant effort is to keep all of us happy & active. We pray to the Almighty that NVM should prosper beyond all our expectations, provide support and help to the elderly in their twilight years. May Sri Ma shower Her blessings on u all. This Institution is run with a missionary zeal. From top to bottom the number one concern of the facility is the welfare of the residents. It is heart warming to see one and all show genuine concern, love, and compassion for the elderly. The facility has a block deemed for assisted living, where residents are provided support as needed. Further, occupational care for elderly/disabled members at other blocks is available and is tailored to specific situation. The care providers are very flexible as to the time and level of care. Well protected and well planned old age home for the old people. The campus is planned in such a way that keeps the living persons here relaxed and happy. The way of treatment by the management here by every attendant is praise worthy. The quality of food is very much for old people. I would like to praise Mr. Bright CEO, who is involved in every work from morning to night. A fort in the midst of green fields, a fort in colours of yellow and rust, standing royally in tune with its rustic surroundings and a fort that is called “ A castle for dignified seniors” , a retirement home which rejuvenates it’s members, whatever be their age, that is Nandhavanam. Nandhavanam is a Brindavanam. A place where the members are treated with dignity in life, in illness and in facing their sunset bravely.